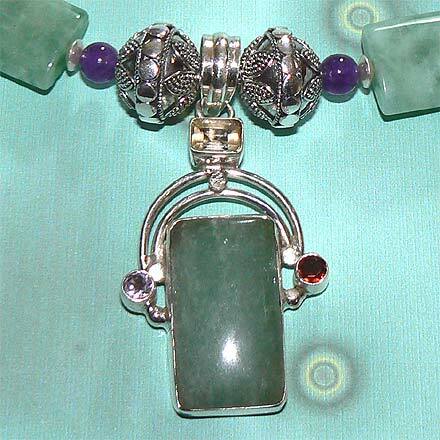 Sterling Silver Calcite, Amethyst, Garnet and Citrine Necklace. See Closeup. 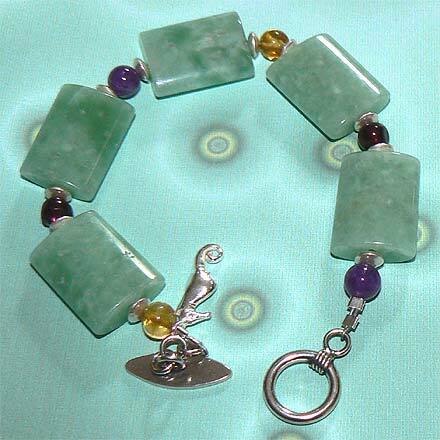 Sterling Silver Calcite, Amethyst, Garnet and Citrine Bracelet. Green Calcite! What a lovely color! There is something very sea-like about these smooth Green Calcite stones, but I can't quite pinpoint it. Nonetheless I added a cute little seahorse charm to the 7¾" bracelet for good measure. 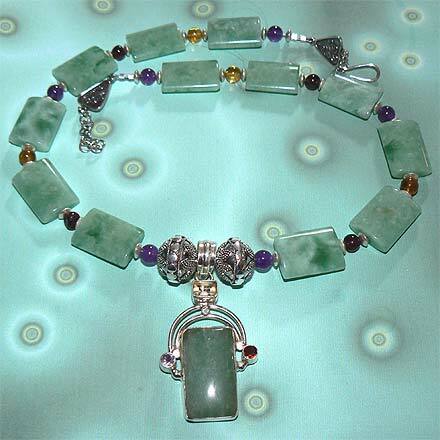 The necklace has a beautiful adjustable clasp, and ranges in length from 19¼" to 20¼" inches. Hanging from it, the pendant is 2.1" long. For those who are interested in Astrological significances of stones, Amethyst corresponds with Pisces and the month of February, Garnet corresponds with Capricorn and Aquarius and the month of January, and Citrine is November's birthstone.